The doctor of philosophy (PhD) in nursing is designed for students who want to pursue research in an academic, clinical, or scientific environment. Graduates of nursing PhD programs can assume roles as advanced practice registered nurses (APRNs), nurse educators, directors of nursing research, leaders of healthcare organizations, consultants, and even authors. Some graduates may opt to work for government agencies such as the Department of Health and Human Services (HHS) or the Agency for Healthcare Research and Quality (AHRQ). Nursing PhD programs are open to students with a bachelor of science in nursing (BSN), master of science in nursing (MSN), or doctor of nursing practice (DNP) degree. Students may attend full- or part-time, and many programs are offered online. Program duration varies depending on how fast the student progresses. Some students may complete a PhD program in just three years, while others may require four or five years of study. A typical program includes the nursing core, statistics courses, electives, and the dissertation. The nursing core features fundamental courses like quantitative and qualitative research design, healthcare research measurements, and responsibilities of the nurse scientist. Popular nursing electives include writing for publication, symptom evaluation and management, advanced nursing health policy, research technology, stress response, and health behavior theory and concepts. In addition to holding a BSN or higher from an accredited nursing program, admissions requirements may include an active RN license, a minimum GPA of 3.0 on a 4.0 scale, an acceptable score on the Graduate Record Examination (GRE), a resume, several letters of recommendation, a written statement of research goals, an interview, and/or a physical examination. The cost of a nursing PhD program varies by institution type (public vs. private), region of the country, and academic reputation. We found that the lowest-cost programs were typically $40,000 for tuition. Including other expenses, total costs can reach $65,000 or more. Fortunately, this significant investment will pay off handsomely. Nurses that hold a PhD also hold high-level positons. The Bureau of Labor Statistics profiles several senior nursing positions, including APRN (average annual salary of $90,000-$150,000) and health services manager (average annual salary of $88,580). In addition to top pay, these positions offer career stability. Employment of medical and health services managers is expected to grow by 23 percent over the next decade, while APRN employment will grow by 31 percent. This is much faster than the average for all occupations. The path to a high-level nursing position can begin with enrollment in a top PhD program. 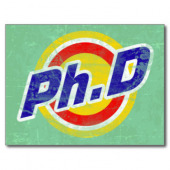 Browse our directory to find the best nursing PhD programs in your local area.